Wind turbine technology benefits from economies of scale. Large wind turbines have a specific (per kW) cost that is lower than mid-size turbines, they are put on taller towers, so their rotors are exposed to higher wind speeds and less turbulence. There is a reason why utility-grade turbines (and especially off-shore turbines) keep increasing in size. XANT builds mid-size turbines for applications where restrictions to the size of the turbine apply. Mostly these stem from logistic constraints: the roads or port infrastructure often are simply not suitable for transporting larger machines. Also, micro-grids or island systems might only have a need for a limited amount of wind on the system and prefer to install several smaller units instead of one larger one for resiliency. In a behind-the-meter- application, where the revenue model is based on maximizing on-site consumption the size of the wind turbine needs to be adapted to the on-site electricity demand. XANT has the right turbine size for yearly electricity consumption levels in the 0.1…10GWh range. Big and not-so-big wind make an odd couple, one however that can be a match made in heaven (or at least above the earth’s boundary layer). Large wind needs lots of space and few people living close by. 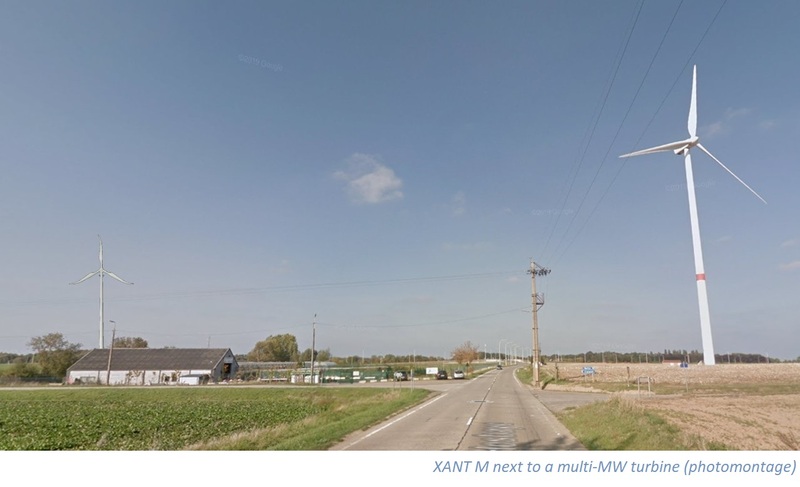 Farm land has always been a logic choice to put large wind turbines: farming can continue right up to the foundation of the turbine; population density is low and the land-owner was happy to receive a lease fee for the surface area occupied. However, the electricity generated by the wind turbine was never suitable to meet his own electricity demand due to technical and regulatory hurdles. 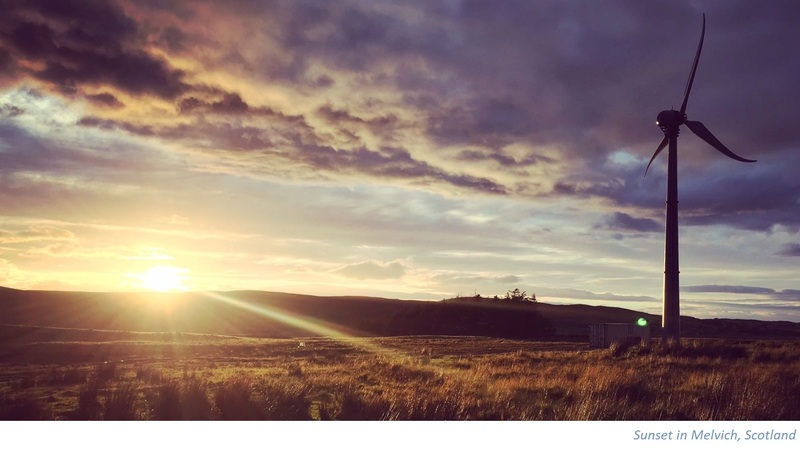 With ever-declining cost of renewables and increasing electricity prices, energy-intensive farmers are now eager to invest in their own mid-size wind turbine and take control of their utility bill. Large wind turbines on their land are welcome provided they can co-exist with the mid-sized one next to their barn. Project developers and IPP’s sometimes even propose a package deal: large turbines on the land and a smaller one for supplying the load of the farm. Farmers get the best of both worlds: a fee for leasing their land and reduced electricity costs. But it is not only the economics that bring big and mid-size wind together; the physics are also in favor when they team up. In a recent publication the effect of combining smaller and larger wind turbines in the same wind farm has been investigated. Results indicate that especially smaller wind farms and wind farms with closely spaced wind turbines can greatly benefit from nonuniform turbine design throughout the farm. Cost-of-energy reductions of up to 10% compared to wind farms with identical turbines throughout the farm could be achieved. XANT is excited to team up with big wind and create a win-win for our clients and the wind power industry. Together with our founding partner 3E we will look closer into how our mid-size turbines can co-exist in an optimal way with the utility-scale turbines.